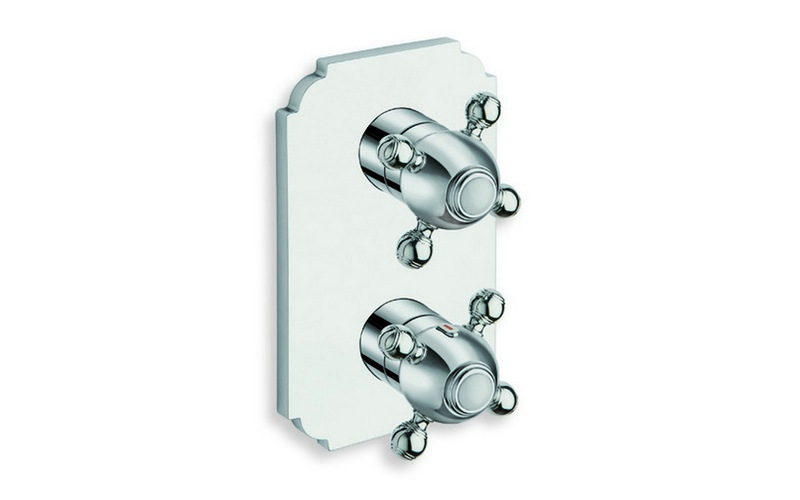 The stylish Retro-753 High Throughput Thermostatic Valve with Built-In Diverter and 3 Outlets has been designed for universal application across a wide range of bathroom decors. The pure, simple lines and crisp chrome finish of this one-piece unit will sit well with both modern and more traditional baths and showers. 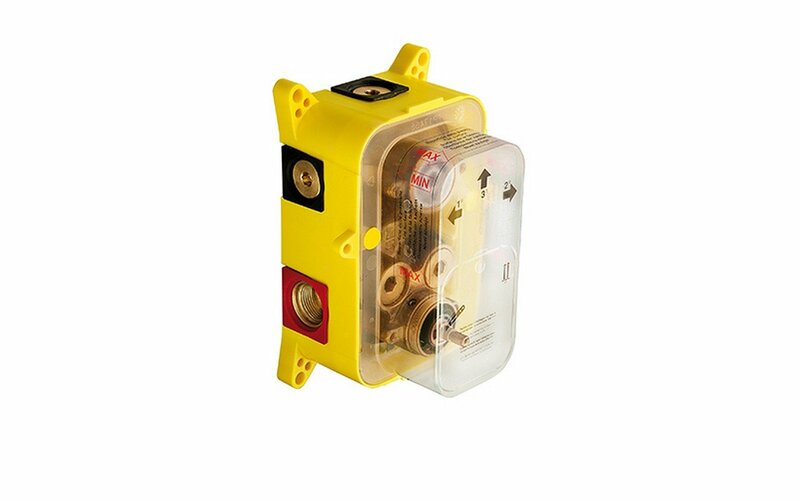 The design incorporates an easy-to-use temperature and flow control with 3 outlet shut-off valve. The mixer sits on a neat ajour plate that is 7.75” x 4.75” (200 x 120 mm). The whole piece is stunning in its visual simplicity and understated elegance. 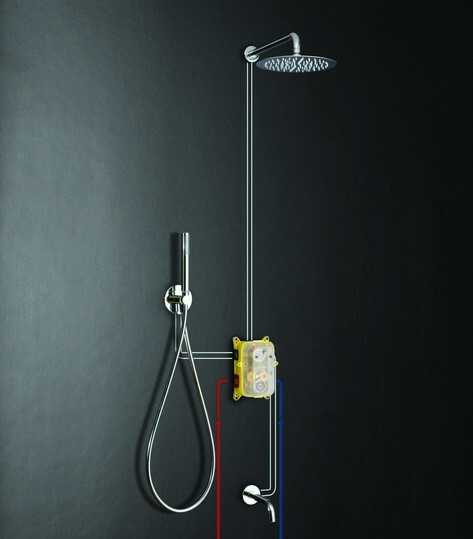 Aquatica’s concealed thermostatic shower mixer incorporates a special control that allows you to preset your desired water temperature (based on 38° degrees), then maintains this throughout your shower. 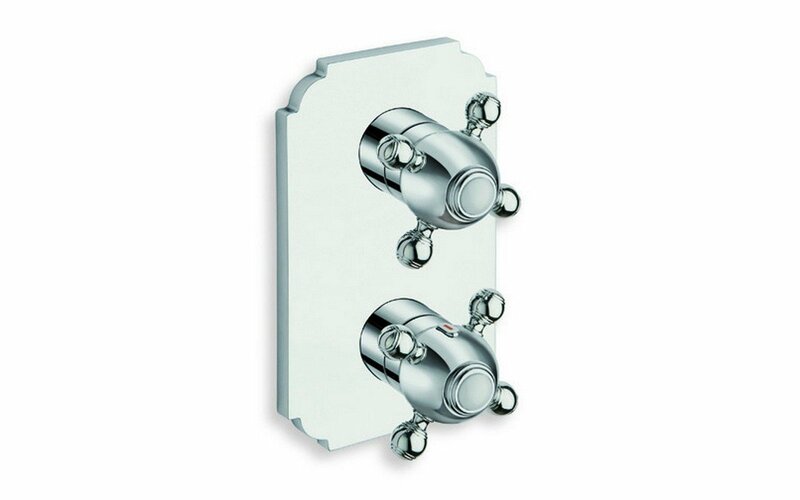 The thermostatic valve mixes the hot and cold water to deliver the constant temperature, whilst also regulating any variations in pressure and temperature. Should the cold-water supply be interrupted, the valve will immediately close.